PRIVATE PSYCHIC DEVELOPMENT CLASSES – Beginners and Intermediate level - for individual students who would like to get in touch with their psychic abilities are now available! All 13 classes can be experienced when they are convenient for you and in person, over the phone or on skype! Through my Psychic Development classes, you will become in touch with yourself and your energy before addressing the energies of others. Since the word “psychic” means of the soul, psychic development is about developing a soul connection which opens the door to greater communion with yourself and then enhances your connection with others. You will learn how to transcend your physical body: by experiencing the many facets that create the sum of you, trance states, moving your energy within the body and outside the body, understanding the principles of energy, learning to ground your energy, and understanding the energy channels (chakras). I will teach you how to regulate your energy patterns as it relates to your chakras, aura, consciousness levels, and the contractual agreement between body and soul. From there you will learn to release self-restricting energy patterns; such as: frozen or blocked internal energy, cracked or draining energy, masked energy, as well as addressing your belief patterns and those beliefs of other people whom you hold in greater esteem than yourself. Some childhood patterns will be discussed and released. During this time, we will be doing many releases, this is a tiny sample of some: fear, guilt, inadequacy, and many other energy drains. This clearing will give you the chance to create your own authenticity, beliefs and self-realization, therefore, helping you discover your own true essence, what you are responsible for; which creates self-realization, self-healing and truly connecting with your psychic skills. From this point, you will be ready to address the collective reality: understanding astral planes, experiencing astral projection and time travel. We will then explore your relationship with others: your energy exchanges and communication, resistance and affinity and merging auras and chakras, karma and contracts, and changing patterns. From there we will move on to reading another's energy: understanding the ethics of reading another’s energy, programming, looking into the original essence of another, seeing your connection with them and giving a clairvoyant reading. We will move into the art of healing another's energy: the ethics of healing, methods of healing and learning to give a healing. Whether you are attending this class in person or remotely, it is not necessary to have a partner when reading or healing another. You may use a photo or a mental image of someone or if you like you may invite someone into your space (I will announce it in advance). This is just a condensed explanation of the work we will be doing, there is so much more and you will be actively experiencing these states as I guide you using 80 exercise techniques to get you there! Important materials and charts will be sent through email before each class. Keep in mind these classes will benefit everyone and you don’t need to have aspirations of becoming a professional psychic to experience the healing and awareness that these classes have to offer. Private Instruction Psychic Development Classes cost 455.00 translating into 35.00 per class. You may pay in two installments, 230.00 would be due at the first class and 225.00 would be due at the fourth class. With private instruction, you can expect many benefits: getting individualized attention; creating a pace that works well for you (such as: once a week, or twice a month); creating a time that works well for you (such as: during the week and during the day, or evenings or on weekends), and if your schedule is variable I can schedule your classes whenever they need them to be rather than one set time, every time, which takes the pressure off you! The classes are approximately 90-100 minutes long. You are welcome to sign up today! And I will email you and we can work out a plan that is just right for you. Either pay the full amount and get a special bonus, or pay in two installments. Sign up for Private Instruction PSYCHIC DEVELOPMENT CLASSES AND PAY IN-FULL and get a 14th class free! This class will focus on Connecting you with your Spirit Guide! 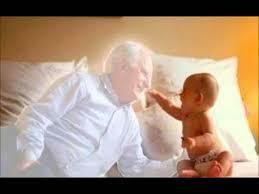 Spirit Guides are souls who have passed over and remain on the Astral Plane. These souls have reached a certain spiritual level but still retain an interest in what is going on in this world. For Phone/Skype Readings or for those wishing to pay with a credit/debit card please pay in advance using the payment button provided. You may use PAYPAL or click on PAY WITH A CREDIT CARD; you do not need a PAYPAL account to use my site and it is safe and secure. The shipping and handling fee covers one cost: the credit card fee (charged to merchants for all credit/debit card uses). If you are in the state of Vermont and wish to avoid the fee you may pay me with your in-state check, please email me and I will send you my address. Class #1 will be a Refresher class: We will be going over the Trance state, Astral Projection (leaving the body), the Soul connection (center of the head), Grounding your energies to mother earth (grounding cord) and Running your energy through your body, into the Chakras, and into the Aura (energy channels techniques), with a complete discussion of the next five classes. Class #2: Understanding, connecting and conversing with Departed Ancestors: In this class we will be focusing on someone who has died and left behind something undone in your psyche. Such as: maybe there were events going on that were never fully understood and you need to know what they were or why they didn’t get resolved. Or maybe you had a particularly difficult relationship with someone who was abusive, dismissive or critical of you and you never fully understood why, they treated you this way. Or maybe you had a hard time accepting someone and their personality and you couldn’t allow them in. Class #3: Understanding, connecting and conversing with your Guardian Angel and/or Angels: Angels are a manifestation of Divine energy and they are dedicated to promoting spiritual harmony in the universe. They channel divine love towards others and they assist those in need. 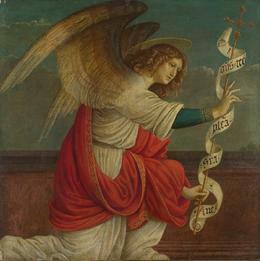 Angels carry messages, give strength to those who wish to create good works in the works. Angels are on a mission, to guide all living beings toward the Light which is the Divine universal energy that we are all a part of. When we can connect with the presence of angels in our life, we will know pure joy. To benefit from their guidance all we need to do is listen, as they whisper into our ears or our mind. They are also here to help us heal whether it be emotionally, mentally, physically and especially spiritually. Class #4: Understanding, connecting and conversing with your Spirit Guides: Spirit Guides are souls who have passed over and remain on the Astral Plane. The souls that become spirit guides have reached a certain spiritual level but still retain an interest in what is going on in the world. They no longer respond to life on earth with a material or physical viewpoint, but since they were once human beings, they have an understanding about what it is like to be a human being and they are sensitive to your lives, our problems and our goals making them very helpful as we deal with daily life. This allows them to seem like friends or advisors to us. Class #5 & 6: Understanding, connecting and communicating with the Faerie Realm: Nature Spirits and Elementals: If angels had offspring the Faerie Realm with its Nature Spirits and Elementals are its children! All cultures convey stories of ethereal realms! Nature spirits and elementals are part of the etheric/physical plane. Stories and myths are windows and clues into this fascinating world. 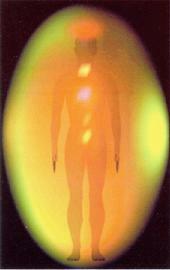 Clairvoyants, mystics and prophets have also been able to give us information on this class of energetic spirits. When we venture into the Faerie Realm we are venturing between worlds. Classes can be taught in a group or individually and will be 90-100 minutes long and can be experienced within a flexible time frame. “This was a wonderful class. I have studied some these concepts and practices before but you articulate it all so well it made it understandable. I loved listening to you explain about all the levels and layers of energy within and around us. I have read and studied chakras before and experienced energy healings in numerous forms over the years, but your perspective is fresh and clear and I really appreciate that. In every class, I have made some powerful connections and seen things that were not always new but always seem clearer somehow and I feel more able to take what I see and sense and apply it to how I am living my life emotionally and spiritually. It is amazing how much knowledge and experience you have, Lydia, and I am grateful to be benefiting from it all! I am really grateful for your caring way of teaching. The class was fabulous. I really liked having that initial exercise to sink into a meditative, receptive state and all the exercises were great, especially the crystal pyramid visualization which I found especially powerful. The exercises you did with us were all amazing! They were powerful and clearing. Being able to experience astral travel/projection was amazing. Going back to a past experience and to a future experience blew me away because they were so quick, and so vivid. By the end of class I felt as if my whole being had shifted into a different, higher, stronger vibration. 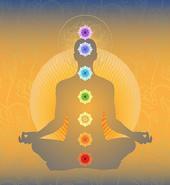 The class was really one deep, calming and yet also stimulating meditative/spiritual experience. FABULOUS classes, Lydia.” Catherine V…Washington, D.C.
"Thanks for the wonderful class! I'm so enjoying this course, learning a great deal and I feel I am healing as we go along. The information is so rich and the charts (you emailed us) were tops! I'd never seen these concepts, in this much depth. It is fascinating and I'm looking forward to learning more. Understanding Communication Cords was very enlightening for me. I had never heard communications explained in this way but it makes so much sense. I had some real "ah ha" moments during this class. The chart helped to make the concepts so much clearer, too. Thank you! I've learned so much and it's been wonderful to slow down and take the time to do this with you. I feel I've been able to integrate a lot of the work and know that I've been healing through this work. Your materials are well thought out and so organized. Thanks for spending time at the beginning of the class getting us connected to our energy through deep breathing. It really helped me go deeply into the rest of the exercises. I found the energy fabulous and I found I was able to astral travel, too! I was surprised by how many sensations I could experience through astral travel. I felt I had some healing experiences through these exercises as well. I went deeply into these experiences and liked how you led us through them. I really appreciate all the energy and thought you put into these classes. “The beginners to intermediate Psychic Development Course created the space for me to get in touch with my own inner source of strength and wisdom. My direction shifted from one of outside events and people affecting me, and my reacting to them; to one of inside events and people affecting me and my having a sense of responsibility to the choices I had in my reactions to these inner happenings. The exercises got me in touch with what I call: my real qualities ~ my love, compassion, and understanding for myself and others. As, I forgave, understood, and loved myself ~ it was easier to share that love, compassion and understanding with others. I truly felt throughout these classes ~ I was going “home.” The release of negative emotions (in a space free from guilt, or shame) was a very powerful feeling. When you free yourself ~ you also free others. These classes aided and assisted me in uncovering who I am ~ and who am I? I am a soul in an evolutionary process on my way home ~ sharing along the way with others who are in the same process. As the classes continued it brought me to a stage of faster inner journeying. I uncovered my inner wisdom which was always within me. The healing processes were extremely effective, loving and with a true sense of compassion. I discovered the gifts (my psychic abilities) I was searching for all within me ~ waiting to be uncovered and used. Along with these discoveries comes a responsibility to myself and others to use whatever I have wisely. The featured image at the top of the webpage is of the Moon. Your Moon Sign is the essence of your true emotional nature and determines your reactions in life. Our emotional nature is typically what we see and can be hidden from others. To learn more contact me for a mini-Moon reading!